From the moment she saw herself in our huge mirror, and heard the gasps of ‘wow’ from her bridal party, we all knew she had found the one! We styled her dress with a simple ribbon edged veil with blusher to complete her stunning look for her Big Day. 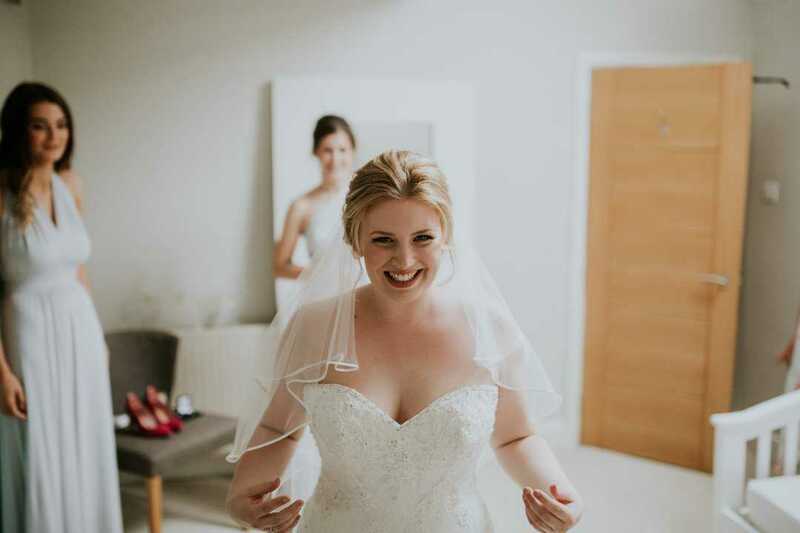 Chloe got married at The Tithe Barn in Petersfield and these wonderful images were captured by Hayley Savage Photography. Chloe’s beautiful flowers were designed by the multi award-winning florist Concept Flowers of Dorset.